A long cherished dream became reality on the moment when we opened our Bed and Breakfast in 2010. Previously, the shed which we have rebuilt served as a home for our sheep. After one year of construction, the shed was turned into a pleasant and rural place, perfect if you looking for a peaceful place to stay over. Every week we welcome guests from all over the world. Sometimes for a single night, other times for a week or even longer. 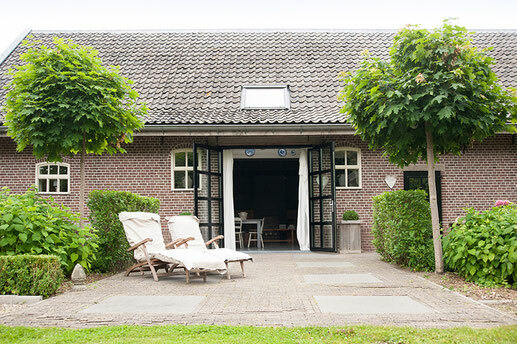 The central location of the Bed and Breakfast gives the perfect opportunity to discover the Netherlands. Attractive cities like Utrecht and Amsterdam are just 15 and 40 minutes away from the accommodation. We find it important that our guest experience the freedom to walk on and off the farmyard so that they can discover our farm. We are proud of our cattle and we love to share our farm experience with as much guests as possible. Next to that, we try to inform our guests as much as possible on what activities are out there in the region waiting to be explored. "A wonderful B&B on a unique location"
Show pictures, availability and prices.